Order # searches for any orders that start with the alpha/numeric characters in the same order listed. Title Officer (TO) searches for orders with the entered TO associated with them. Branch searches for all orders for an associated branch. It is automatically set to login to a user’s branch. This field requires one of the other search fields to be populated. 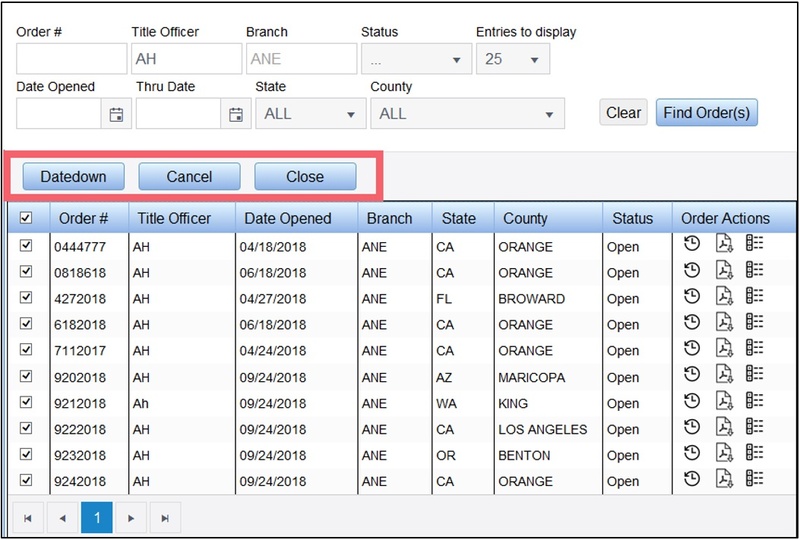 Order Status limits search to selected order status (Open, Closed, Canceled) or a user has the ability to return all order types. Entries to display is not a search field, but controls the maximum entries to display on the screen. When an order list exceeds maximum entries, use the pagination buttons to go to next set of entries. Date Opened/Thru Date searches for all orders within the specified date range. 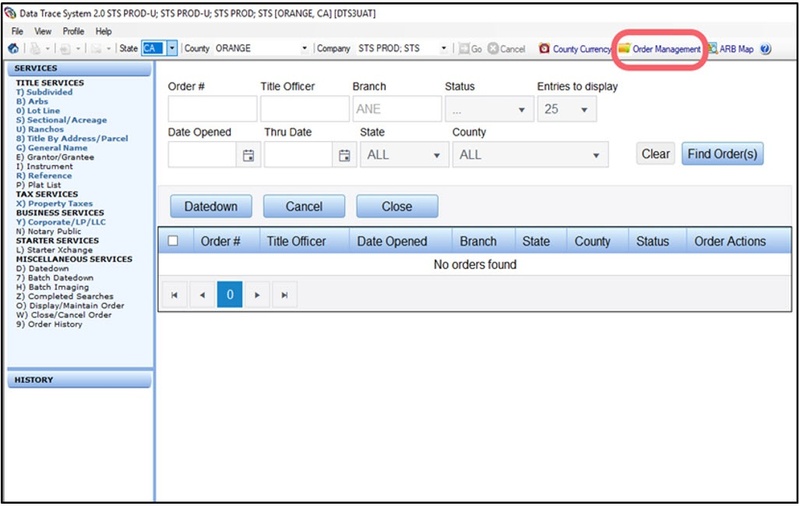 State/County searches for all orders in the specified state and county. Both of these fields must populated. 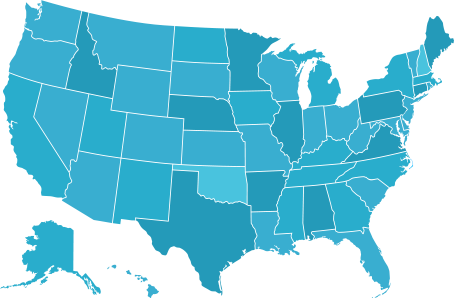 State/County will only be populated with the counties a user has access to. 3. Click on Find Order(s) button to create an order list to manage an individual order or perform global functions for multiple orders. After Find Order(s) button is selected, the order list will display all orders matching search criteria. Global Buttons include Datedown, Cancel and Close. These buttons can be used for one or more selected orders. Select orders to Datedown (check box in blue header selects all orders displayed). Datedown links for all orders will be sent to History Panel. Datedown links appear in the History Panel in the same order as the Order List. Confirmation popup will display requiring user to confirm action. Order Status will be changed to Canceled for selected orders. Order Status will be changed to Closed for selected orders. Order Action buttons are available for selected order (highlighted order), only one order can be selected at a time. Click on action button to perform its function. Download one or more reports/images to history panel to continue work or utilize the email, export, print functions from the History Panel. Create order package containing selected reports/images sorted in desired order. This creates a PDF to be saved to the desktop or to be printed. Set file location to download a PDF of reports/images. Determine file name for exported PDF. Order Details allows a user to view and update options for each parameter associated with the order.